The Middle East will be the first export market for the Cadillac SLS, the long-wheelbase version of the STS luxury sedan. The car will be revealed at the Middle East International Motor Show in Dubai on 13 November and will reach regional showrooms in the first quarter of 2008. The newcomer is the third variant in the successful STS range, after STS itself and the high-performance STS-V. The SLS is based on the STS, but with additional design and engineering work, as well as manufacturing, taking place at Shanghai GM’s state-of-the art facilities in Shanghai, China. "With the arrival of the SLS, the STS family will become a strong three-member line-up. The STS and the STS-V have already established themselves as two successful cars, and the SLS is set to build on their success", said Terry Johnsson, President, General Motors Middle East Operations.“Middle East customers demand excellence in luxury cars and place a premium on quality and performance, the dominant attributes of the SLS, so we pounced on the opportunity to satisfy this demand for long wheelbase luxury sedans”. Elegance, comfort, and superior driving performance are the SLS keynotes, boasting an array of standard equipment that on many competitors is available only as optional extras. Externally, the SLS is unmistakably Cadillac in styling. The diamond-faceted contours echo the geometry of its CTS and STS stablemates, mirroring the brand’s rich heritage of art in design, and subtle V-shapes, inspired by Cadillac’s shield badge, are a recurring motif in exterior and interior design execution. The chrome pentagonal grille is a variant on the classic badge shape and points to the future of Cadillac’s exterior design language, with cues inspired by the Cadillac Sixteen concept car. In typical Cadillac fashion, the SLS excels in interior design, fittings, and finishes, delivering an outstanding experience from any seat. The tone is set by luxurious ambient lighting that bathes the cabin in tranquil and elegant ‘Cadillac White,’ an automotive innovation modelled on first-class air travel. The SLS has been comprehensively tested in harsh climate and driving conditions such as those it will encounter in the Middle East. Typical of its ability to more than match the environment is the independent tri-zone climate control delivered by the heating, ventilation and air-conditioning system, specially developed for extreme temperatures. Using the Smart Keyless Entry feature, the engine and climate control can be started as far away as 60 metres from the car, ensuring that the perfect cabin environment is always waiting. The SLS is an important step to grow Cadillac’s presence in a competitive luxury market and its introduction to the Middle East will strengthen the brand’s already powerful position in the region” said Johnsson. The SLS will be on display on the Cadillac stand at the 9th Middle East Motor Show next month in Dubai. 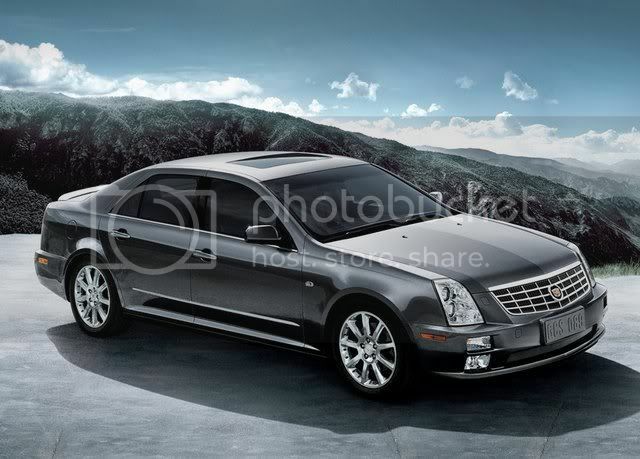 Cadillac is the luxury vehicle division of General Motors. It was founded in 1902. Cadillac is committed to developing compelling, high-quality vehicles with bold design, breakthrough technology and world-class performance. In doing so, Cadillac has carefully preserved the qualities relevant to luxury consumers and translated them into vehicles with the performance, features and benefits that appeal to 21st-century buyers. Global sales and market share have made consistent gains in recent years. Cadillac today produces the XLR convertible luxury roadster, the SRX midsize luxury utility, the premium entry level BLS, the CTS luxury sedan, the STS performance luxury sedan, the DTS full-size luxury sedan, a line of supercharged performance V-Series models and the world's most powerful line-up of SUVs: the Escalade, Escalade ESV and Escalade EXT. The Cadillac brand has been an iconic presence in the Middle East region for over 80 years.